Competitive Rates. World Class Service. There’s nothing more exciting than prom night. The glamorous, fancy cocktail dresses and gowns, dignified tuxedos and all the extras that lead up to the exciting evening. But perhaps the most important part of the big night is the transportation. Let Roadrunner Limousine make the night even more awesome by providing safe and reliable transportation services around town. Roadrunner offers SUVs that hold seven passengers and are ideal for taking groups safely from homes to dinner destinations. From there they will whisk prom goers off to the magical event and be waiting when prom night ends to get everyone safely home, or to continue the fun by heading off to an after prom party. Roadrunner also offers classy sedans if couples want to enjoy the evening alone. Complimentary water is offered for the ride, and many vehicles also come equipped with Wi-Fi. Our drivers are professional and knowledgeable, and will react to whatever situation that comes their way with patience and courtesy. So sit back and rest assured that all of our drivers are trusted professionals – you will not be disappointed. There are so many things to prepare for prom beforehand. Girls love to get facials and mani/pedis alone or with several friends. Add some color with the perfect nail polish that will tie the whole look together. Having the perfect hairstyle can make anyone feel like a princess for the night so plan ahead on whether you want a new cut altogether or just an amazing up-do for the night. Guys sometimes go for a manicure as well, or a nice shave and haircut to feel and look top notch. Remember guys, prom is not just for the girls! With all that to worry about, having your luxury transportation booked, ready and waiting will make the evening trouble free and much more enjoyable. Roadrunner Limousine can make the prom experience all the more memorable and fun. No need to worry about having to park and walk to a restaurant or the prom itself – Roadrunner will drop prom goers off right at the door – and be there to pick them right back up. Don’t let the evening get ruined because there was a long walk involved or rain came in at the last minute or because of arriving late due to bad traffic. When prom goers are relaxed in a Roadrunner Limousine sedan, they can focus on the date and make some awesome memories while travelling. Or, choose the luxurious Roadrunner Limousine SUV with a few friends and have the best night of the school year! The party doesn’t have to end in between destinations when prom goers ride together in style! 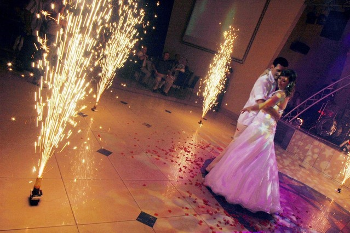 Don’t wait till the last minute to decide to use Roadrunner Limousine for this ultimate night. Book ahead and relax that transportation is taking care of. The night will be perfect from start to finish when leaving the driving to Roadrunner Limousine. Book a round trip and save 15% off. Contact Us at 480.310.7773 (24/7 availability) or Email Us Today. At Roadrunner Limousine, our goal is to deliver world class customer service and exceptional sedan & SUV transportation services. With our luxury fleet and affordable rates, we will exceed your transportation needs.